Apartment block "Pfingsteggsunne". In the resort, 600 m from the centre, in a quiet, sunny position, south facing position. In the house: lift, storage room for skis, central heating system, washing machine, tumble dryer (for shared use, extra). Communal covered parking. 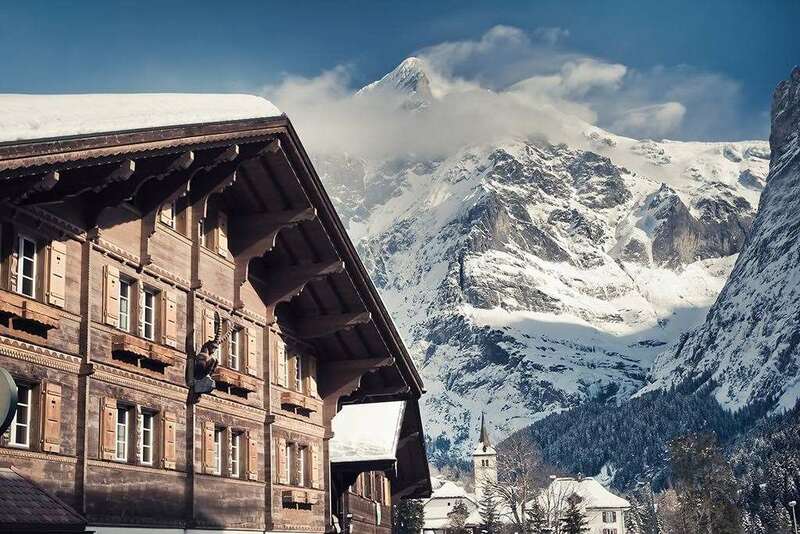 Shopping centre 700 m, restaurant, bar 200 m, bakery 100 m, bus stop 20 m, railway station "Grindelwald Dorf" 900 m, outdoor swimming pool 3 km, indoor swimming pool 800 m. Golf course (6 hole) 1 km, tennis, minigolf 500 m, sports centre 800 m, gondola lift, ski rental 400 m, ski bus stop 20 m, cross country ski track 500 m, children's playground 800 m. Well-known lakes can easily be reached: Thuner-/Brienzersee 18 km. Please note: ski bus (free of charge). Free ski bus service to the ski region First, kl. Scheidegg/Männlichen. The house is situated by the ski piste. 1 reserved parking space in the shared garage (included in the price). 2nd parking space extra, in summer CHF 10.00/day, in winter CHF 12.00/day. 4-room apartment 110 m2 on 2 levels, on the top floor, south facing position, beautiful and cosy furnishings: living/dining room with open-hearth fireplace, cable TV and hi-fi system. Exit to the balcony, south facing position. 2 rooms, each room with 2 beds. Open kitchen (oven, dishwasher, 4 ceramic glass hob hotplates, electric coffee machine) with dining table. Bath/WC. Upper floor: gallery. 1 room with 1 double bed (140 cm). Shower/WC. Large balcony, south facing position. Terrace furniture. Marvellous view of the mountains. Facilities: telephone. Garage. Please note: non-smokers only. Maximum 1 pet/ dog allowed.